What is a direct barrier? A direct barrier is a policy or system in place that immediately impacts the ability to do something - in this case, to vote. African American communities are disproportionately impacted by injustice within the criminal justice system. Black drivers are more likely to be pulled over than white drivers and three times as likely to have their cars searched. African Americans are also arrested for drug-related crimes at double the rate of white Americans, even though both groups use and sell drugs at comparable rates. In Minnesota, Black people are nearly 8 times as likely to be arrested for marijuana possession than white people, despite equal usage rates. Once convicted, Black males serve, on average, a longer prison sentence than white males for comparable crimes, as well as being more likely to have their probation revoked. Due to these blatant disparities, African Americans and Latinx Americans, despite comprising only 30% of the U.S. population, make up 56% of the incarcerated population. Police brutality adds to the oppression of Black communities. African Americans and Latinx people made up over half of the deaths caused by police officers in recent years. Disempowerment of African Americans by a system put in place to defend political power and freedom is a state-sanctioned method of disenfranchisement. The inequality present in the criminal justice system has a direct impact on Black voices in politics. 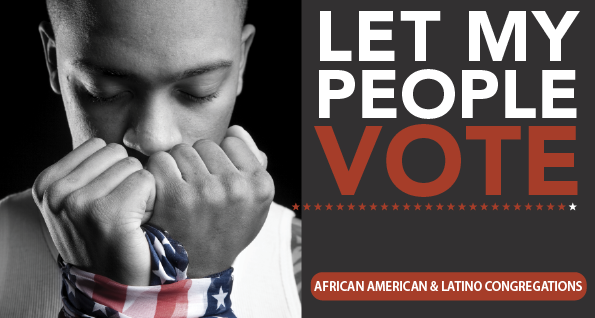 Because of the extreme percentages of African Americans in the system and felon disenfranchisement laws that limit their ability to vote, African Americans are underrepresented in the democratic process. Felon disenfranchisement the loss of the right to vote due to a felony conviction currently affects 2.2 million African Americans. This is a significant, direct barrier to political representation as the right to vote constitutes a citizen’s most basic ability to be involved in democracy. For more statistics, and for information about the movement to restore voting rights to people with past felony convictions, click here. Who Has a Say in the Criminal Justice System? In Minnesota, voters elect Sheriffs, Attorneys General As the chief legal officer of the states, commonwealths and territories of the United States, the attorneys general serve as counselors to their legislatures and state agencies and also as the "People's Lawyer" for all citizens, District Attorneys represents the state government in the prosecution of criminal offenses, and is the chief law enforcement officer and legal officer of their jurisdiction, Mayors - who appoint the Police Chief in most municipalities including Minneapolis and St. Paul, District Judges, MN Court of Appeals and the Minnesota Supreme Court. This means that citizens have the potential to directly impact our criminal justice system through voting. Voter I.D. laws, which require citizens to possess state-issued photo identification cards in order to cast a ballot, can disenfranchise people across all identities. In 2012, Minnesotans voted on a proposed amendment to our State Constitution that would have required a photo I.D. to vote. That measure was defeated after months of grassroots organizing, including phone banks and canvassing, as well as web and commercial messaging. However, 33 states currently enforce voter I.D. requirements. The process of redistricting typically happens after each U.S. census and is used to more accurately redraw political district lines as populations shift. Drawing the lines in such a way as to favor a particular political party is known as gerrymandering Manipulation of the boundaries of an electoral district so as to favor or harm one party or class. Race-based gerrymandering also occurs, and typically involves grouping marginalized communities into single districts in order to make it less likely for the candidates they support to win. African American communities are often the targets of race-based gerrymandering, which is used as a direct tool to limit their political power and voice.